Is Vape Life a Safe Life? It is a well settled fact that inhalation of burning plant matter, namely tobacco, is detrimental to one’s health, and the harms can be manifested in the forms of cancer, lung disease, and the like. However, in recent years, a new method of smoking has made its way to center stage: vaping. This fad is so new, that only this year, Webster’s Dictionary added the word “vape” to their vast bank of linguistics. This word is so new, that Microsoft Word still has a red squiggle underneath it and does not recognize it. This phenomenon is so new, that the long-term health effects are unknown; a circumstance that heightens the mystique and curiosity about this hobby. Because of the nuanced nature of this vaporizer craze, some background on the topic may be useful for people unfamiliar with the basics. Vaping has been highly touted as a safer alternative to smoking cigarettes and using other tobacco products. Electronic cigarettes, synonymous with vaporizers, first made their way to national prominence in mainstream culture by offering long-time smokers a way to kick their tobacco habits without employing the use of nicotine patches or nicotine gum. These methods of quitting smoking have proved fruitless for many people for a multitude of reasons; one reason in particular is that although these smokeless alternatives may satisfy nicotine cravings, they do not satisfy the oral fixation of inhaling and exhaling smoke that so many smokers desire. For that reason, electronic cigarettes are viewed as a superior method of quitting a cigarette habit. That being said, electronic cigarettes have evolved, and cheap, disposable, gas station brands such as Blu and Vuse have given way to more popular, rechargeable, refillable options known as “mods” (the hardware of the vaporizer setup). Mods is a general term that encompasses “Mechanical Mods” and “Regulated Mods,” which offer a user the ability to modify their set up with various batteries which vary in voltage, and various tanks, varying in size, which hold the “e-juice” or “e-liquid.” Popular brands of mods include Kanger and Aspire. Although the combination of vaporizers (a term which encompasses the battery and the tank) and juices are seemingly endless, the end result is the same; the vaporizer uses atomizer coils to heat the juice and produce an inhalable vapor. Ultimately, vaping has been rather transformative in the sense that its purpose and utility has shifted from a stop-smoking aid to a new-age hobby. 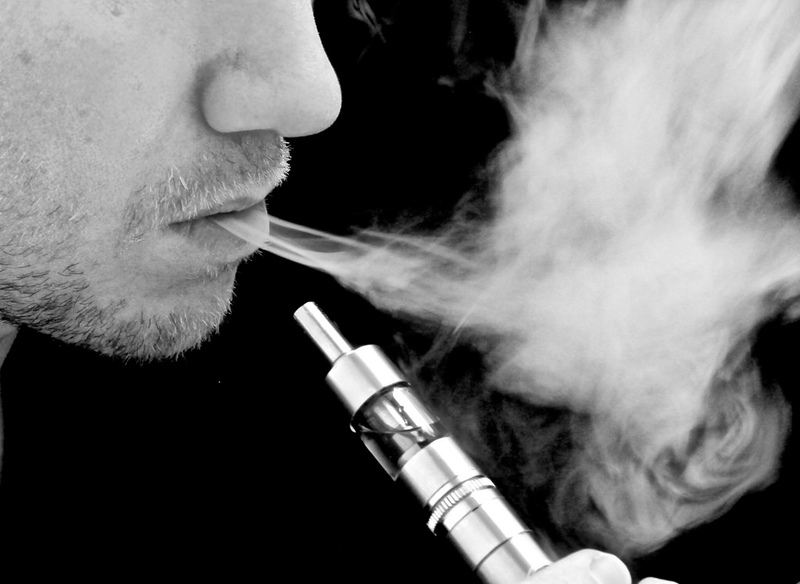 Given the growing popularity of vaping, the concern about safety is growing as well. The hardware of the vaporizer, as complex and customizable as it is, is not the focal point of the vaporizer-safety discussion. The crux of the concern about vaping lies with the vape juice. The majority of these liquids consist of only four ingredients: vegetable glycerine (“VG”), propylene glycol (“PG”), natural and artificial flavoring, and nicotine. Most e-liquids contain a 50/50 blend of VG/PG, but some brands like to toy around with these percentages, creating liquids that have a higher content of one than the other. In general, VG is a thicker consistency with a sweeter flavor, and produces a larger cloud of vapor when vaporized. On the other hand, PG is a thinner consistency but provides more of a “throat hit,” similar to the feeling that inhaling tobacco provides. But the VG/PG blend isn’t the only variable in e-liquids, the level of nicotine in different juices vary as well. The highest nicotine content found in vape juice is 24mg or 2.4% nicotine by volume, and there are also nicotine-free juices available on the market, presumably for smokers who no longer want any nicotine in their system but still desire the oral fixation associated with smoking. In between that, the most popular variances are 3mg, 6mg, 12mg, and 18mg. Oddly enough, the health debate does not revolve around the nicotine, rather, the concerns are more so about the entire blend and the potential for harm that heating, vaporizing, and inhaling this substance entails. Having established that, questions about the legality and approval of these juices still remains. At the moment, the majority of the vape juice on the market today has not been prohibited by the FDA, as long as the company has reported their ingredients list to the FDA, list their ingredients on the bottle along with a “Prop 65 Warning,” and/or the typical 18+ nicotine warning found on other tobacco products. New regulations and proposals are in the works, but the FDA must still comply with “notice and comment” rulemaking procedures proscribed by the Federal APA, meaning the entire process could be costly and time-consuming. In light of the growing concerns, researchers at the Harvard T.H. Chan School of Public Health have released a study which revealed that diacetyl, a chemical linked to respiratory diseases, were present in more than 75% of e-liquids tested. Furthermore, diacetyl or other known, harmful chemicals were found in 47 of the 51 juices tested. The frightening part about this study is that these juices, presumably, are not banned by the FDA if they were readily available for purchase by the people who conducted this study. Even more chilling is the fact that there are more than 7,000 different varieties of vape juices that are widely available on the market. If nearly 92% of all vape juices on the market (if the Harvard study results were extrapolated across all the vape juices available) contain hazardous materials, and all or nearly all of these have not been banned by the FDA, one question still remains: is the FDA doing enough? Harrison Lebov is a Staff Member on the Journal of High Technology Law. He is currently a 2L at Suffolk Law, and pursuing a concentration in Legal Technology and Innovation. He holds a B.S. in Business Management with a minor in Legal Studies from Suffolk University. Harrison is currently the Vice President of the Suffolk Law Intramural Basketball Association and the Captain of a men’s recreational basketball team in Cambridge.